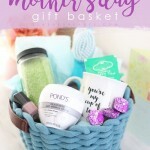 This gift guide features Valentine's Day beauty gifts that are sure to impress no matter what your budget-- they're all under $45! Check out these handmade and personalized gifts that you can get on Amazon Handmade as special gifts for loved ones. Shopping for a sporty girl this holiday season? Check out this fitness gift guide full of workout gifts for her. 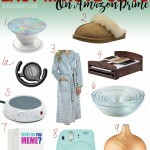 If you've forgotten someone on your list, or just fell behind on holiday shopping, check out these last minute holiday gifts available for 2-day shipping on Amazon Prime. 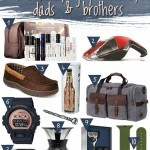 Hard-to-shop-for husband? 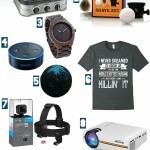 Don't fret-- here's an Amazon Prime holiday gift guide for the pickiest (or most indecisive) men in your life. Make the tradition of opening stockings an even funner one this year with these beauty stocking stuffers that won't disappoint. Wanting to really treat someone this holiday season? Check out these beauty gift sets $100 and under. On a budget for holiday shopping? 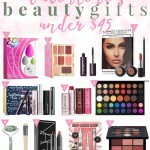 Check out these beauty gift sets that are only $30 and under!